Carlsbad Caverns. 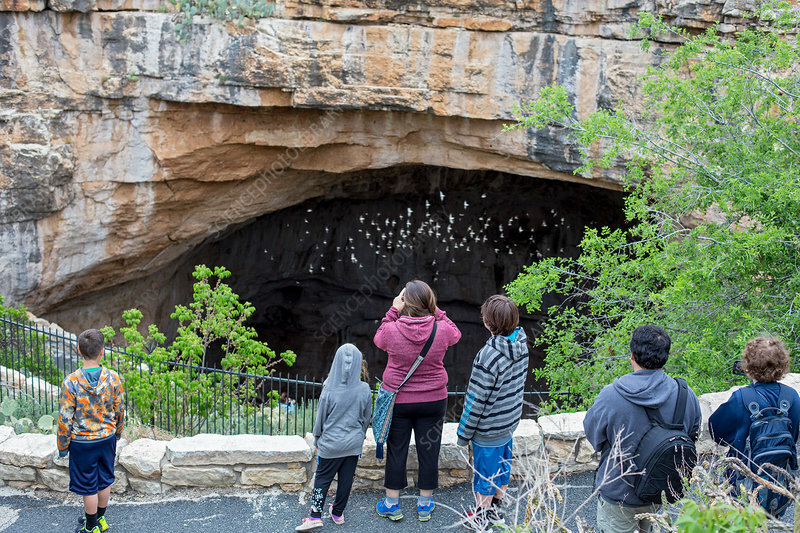 Tourists watching cave swallows (Petrochelidon fulva) flying out of the natural entrance to Carlsbad Caverns, New Mexico, USA. The cave swallow is native to the Americas, where it nests and roosts primarily in caves and sinkholes. Carslbad Caverns is one of three caves in the Carlsbad Caverns National Park that are open to the public. The caves were formed when naturally occurring sulphuric acid dissolved the limestone bedrock leaving behind over 119 caverns of various sizes.